For decades, Aiphone has been one of the most respected and reliable brands of communication systems in the world. Aiphone has a range of products that include everything from small home Aiphone video intercom systems to components for some of the largest commercial security networks. Their products are famous for quality: In fact, they are the first and only intercom manufacturer to win the Deming Prize, the highest international award for quality control. They were also the first and only company to receive ISO 9001 certification in North America. 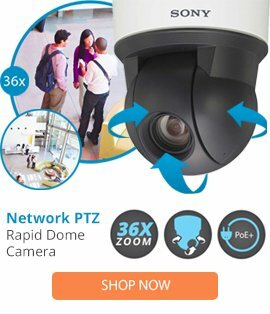 It's perhaps no wonder, then, that Surveillance-video is proud to carry a wide array of Aiphone products to help you protect your home or business from theft and other crimes. Based in Japan and exporting to 60 countries, Aiphone prides itself on having local operations centers, including a North American marketing and sales distribution facility that opened near Washington in 1970. They specialize in top-rated intercom technology that's in use today at countless facilities all over the country, and they make some of the best video and audio communication devices on the market today. We carry several models of Aiphone video intercom that feature easy-to-use features such as touch-screen capability, hands-free communication, service buttons, and door release buttons. An Aiphone camera intercom is a great tool to let you both hear and see anyone who's trying to access your property, making these products particularly good additions to your crime-prevention measures. But if you're looking for a simpler device with more basic functionality, an Aiphone intercom system without a camera might be more like what you had in mind. We also carry accessories like call buttons and handsets. And no matter what components best suit your needs, all of our products, including Aiphone intercoms, come at the lowest prices online, guaranteed. While every Aiphone camera intercom is easy to use, if you run into any questions or concerns, you'll be covered thanks to our lifetime technical support, which comes standard with every purchase. In addition, every Aiphone intercom system comes with a warranty from the manufacturer. If you would like to request a quote or have questions about any of our products, feel free to give our friendly customer service staff a call. Get the latest technology to make your property safer when you buy from us today!